Last November we brought our new home from Pacesetter and had Doreen Caldwell as our sales representative. We appreciate the long hous she spent assisting us in choosing a plan and modifying it to suit our lifestyle. After the installation of the house she was still there ready to help us in anyway necessary. We feel you are very fortunate to have a salesperson of her calibre working for you. We would strongly recommend her to future customers. Here we are just finishing our first winter in our new home. Thank you so much making it a reality. We realize that you went beyond the expected level of service in many ways. Your knowledge, ideas, advice practical help, positive outlook and enormous patience all helped make overall experience a positive one. And we are enjoying living in our lovely Pacesetter home. I always mean to write letters but never do, to complain or praise people and/or companies for either the good or bad that has happened. I compose them in my mind procrastinating until it's to late, then I let it go and forget about it. We looked at every manufactured home available in the area and finally narrowed it down to a home from Pacesetter Homes but we still wanted to talk to other Pacesetter owners as well as to go to the factory before our final decision. We have never had such truly great service from any company ever! Not only from our salesman knowing from past experience, as well as all the aforementioned complainers, that they'll promise you anything and everything until you're stuck with it, but from the whole staff(Ivan, Sean, and Monica just to name a few) from top to bottom. They are friendly, pleasant and helpful and truthful. They don't just promise, they follow through. They just don't set appointments and either cancel or don't show up. They are there and they are on time. In fact at times it seems like they are there almost before you hang up the phone. And I'm talking about after you have paid for, and taken delivery of, the home. As a matter of interest we have now had our home over a year. They have their own service crew right here in Yuma so they don't have to wait until the factory sends someone down from wherever. We just want to publicly thank Pacesetter's for a job well done. They have gone way above and beyond anything we ever expected and/or experienced. It's truly a wonderful feeling to be so totally satisfied with a new home. We would like to take this opportunity to express our appreciation to you because of the way were treated in our recent purchase from your firm. The entire process of acquiring a new home was done in a very professional and inclusive manner. Because we saw the home our friends had installed on their property and inspected the details quite thoroughly, we were convinced that it was the type of home we could enjoy. We contacted Jorge Cuellar for information. He was very knowledgeable of the product and the process of construction. 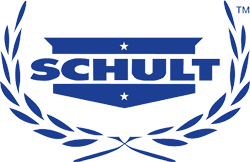 We later took a tour of the Schult manufacturing plant in Buckeye, AZ and were pleasantly impressed with the construction. Mark and Suzie were very helpful in explaining details of our tour. Since Ron has been in construction most of his career, he was most interested in the process of the construction. His comment was, "I doubt I could build this any better" and it would take longer and be more complicated. It was amazing: We signed the order for our Pacesetter Home on September 13th and we were handed the keys on November 1st. The people at Pacesetter know how to put the whole package together, including financial, getting permits, handling the ground preparation and final finishing touches such as a awnings. The only thing we had to do was decide on any changes, chose the color scheme, order furniture and intimately decide what goes in which cabinet!! WE ARE HOME! Thank you, Pacesetter, for a job well done. How can we say thank you for the tremendous effort that was put forth by Pacesetter Homes to get us into our home in record time. The ordering process went very smoothly. All of our questions were answered and we walked out with a copy of our order in our hand. Monica and Vanessa in the office are very efficient and thorough just great to work with. The hands on crew that got our home ready for occupancy are exceptional. Ivan, Randy and Sean really put forth extra effort for us. As you know this is our second purchase from Pacesetter. We are very satisfied with the service with our first home. We expected the best from Pacesetter and we were not disappointed. We were allowed to have Manufactured Home in our Resort. That was when we looked up manufactured home centers. Pacesetter was one of the four places we went to. We found the house we wanted and the people we wanted to deal with. We had to make many changes outside and inside to be within the Resort and the City regulations. Pacesetter's new home came with some work required, but we found our Pacesetter Home had only minor repairs and that the staff looked after all repairs quickly and efficiently. We know some folks that bought a Manufactured Home from another dealer and the after the sale the service or lack of it was not to satisfaction. We highly recommend Pacesetter Homes to anyone who is in the market for a new home. We are very pleased with our new home and the services provided to us. Friends visiting our home were so impressed with the quality product and the timely placing of the home after the purchase that they decided to buy from Pacesetter Homes. This is what happens when you have satisfied customers and quality homes and crews to put them in place on time. This Letter is to express our appreciation to Rudy Molina and all of the staff at Pacesetter Homes. During a visit to Yuma early this year we had stopped at Pacesetter and picked up a brochure on one of the model homes from Rudy. During that trip we also spotted property we liked. We went back to our home in Montana and after a short time we made the decision to purchase the Yuma property. We then decided to sell the Montana home and property which sold within days of listing. We made a call to Rudy and the entire process of purchasing the new including ordering, construction and set up was done by phone. Rudy and all of the staff that pulled together for us really earned our trust with their honesty and integrity, a job well done. Else and I would like to express the promptness and excellent job the repairman did. Please give our utmost thanks and appreciation to both Randy and Ivan for their attention to this matter. It is action such as this that we are proud to be owner of a Pacesetter Home. I want to take a moment to thank you and Pacesetter for the help you all gave when we purchased our home from Pacesetter. The whole process went very smoothly, for our initial selection of floor plan, through extensive modification, site delivery and finally the finish out. There were no hidden surprises. The whole procedure went very smoothly and on time. We are very happy with our new home. Its fits our needs very well. Thank you George and Pacesetter. My wife and I recently purchased a Marlette Home from Pacesetter Home Center. We approached the transaction with some skepticism. We had been told that the entire process would take approximately six weeks from the beginning to move-in. Yeah right we thought. However, I am very happy to say we were wrong. The staff was most accommodating throughout the process and all timetables promised were kept. The quality exceeded our expectations and the repairs were done on time and with excellent workmanship. The two major players in the assembly and finishing were Ivan, the foreman and Saul the finisher. Both were prompt and attentive to our wishes and needs. We can honestly say that we would recommend Pacesetter Homes without qualification and would very definitely purchase from them again if the need arose. I would like to take this opportunity to thank you and your team at Pacesetter Homes and to share “our story” with you. Please feel free to share it as you see fit. 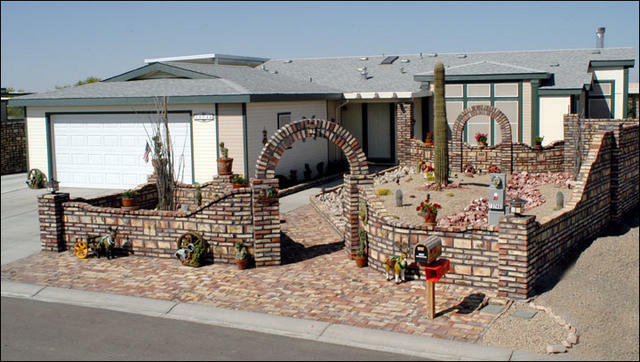 In February we began to research modular home vendors in the Yuma area with a view to purchasing a new home. A friend told us to check out all the vendors in the area and when we were done, to go back and talk to you at Pacesetter Homes. Our own research bore the same fruits and we contacted you to purchase our home. Our permanent residence is in Canada, so walking into your office to choose colors, etc., wasn’t a possibility for us. With the help of e-mail and the internet, you and your staff were so helpful in taking photos of carpet and flooring, countertop and curtain samples and sending them off to us. From these photos, we were able to make all our choices and we were very pleased with the final effect. Our next issue was possession date. Ideally we wanted to take possession of our home soon as possible. No new home comes without some remedial work required, but we found our Pacesetter home had only minor cosmetic deficiencies that Ivan and his staff looked after quickly and efficiently. Our Pacesetter experience was totally positive and we would like to take this opportunity to thank you and your staff for everything you did to make our home a “dream come true”. I purchased a Pacesetter home on the heels of a tragic loss in our family last spring. Mike and Carol Elg were so kind and concerned about my family's needs. They worked within my budget, dilligently ensuring that I got the best possible quality for my money in all my personal home selections. They worked under a tight timetable that had my family housed as quickly as possible. They were helpful and patient with all my questions and reliable with handling all the necessary paperwork, freeing me from undue stress in an extraordinarily difficult time. Our home is comfortable and sturdy and beautiful. Any small issues with details have been handled quickly and skillfully by their staff. We get compliments from most of those who cross our threshold. Carol's decorating skills on her model homes on the lot even gave me ideas for my interior! And Mike and Carol referred me to skilled, honest local contractors for preparing my land for occupancy and landscaping the exterior of my home. I have ongoing relationships with the contractors for continued improvements to my property. Mike and Carol steered me in the right direction for each job/need, and they proved their integrity and professionalism with their faithful follow-up care. This is the third home I have purchased, and the experience with Pacesetter Homes has been by far my best home-buying experience. It all started when we took three weeks to drive to southern Baja to see the eclipse of the sun. The trip was so much fun we decided to go again, but on the second trip we stopped to visit east coast friends who wintered in the foothills. The first was to look at Yuma as a place to retire. That was when we looked up manufactured home centers in the phone book. Pacesetter was the second place we went to and we didn't go to any others. We found the house we wanted and the people we wanted to deal with. Juan Estrada gave us the information we needed. We went home to plan our long-distance BIG MOVE. Then after a while we were back in Yuma signing a contract contingent on the sale of our house. We worked with Juan again and he was extremely helpful and calm in the midst of our confusion. Again, we went home to continue packing and put the house up for sale. Finally the house sold and we were on our way. After we moved in, Glen was the man who helped with all the internal details. If something need fixing he was the person with the expertise. Juan continued to contact us. He would stop by to ask how everything was. He genuinely cared about us. Now we are very happy with our new home in the desert. We don not miss snow or raking leaves. And Juan Estrada is our first friend in Yuma. A long overdue letter to thank you and your staff for the outstanding pre-sale and post-sale support you provided us. It far exceeded the after sale support we received for the new, far more expensive, "Custom Home" we recently built in Indiana. From our first meeting the assistance we received selecting a home that would meet our needs, it was apparent you cared about helping us make a good decision. 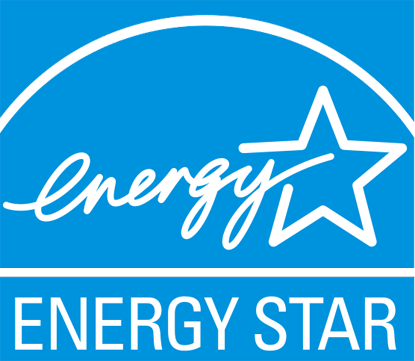 The delivery and installation people were competent and accommodating. A special "Thank You" to Saul Orona, who oversaw the initial set-up, insured everything was functioning properly and did everything he could to insure we were completely satisfied. The staff all seemed well trained, enjoyed what they doing, and sincerely wanted us to be happy with their work. The lady who did the final cleaning did a far better job than the crew who cleaned our "Custom Home". Saul stressed the importance your company places on doing a good job and developing a continuing relationship with its customer. We can certainly recommend Pacesetter Homes to anyone who is looking for a quality product and outstanding continuing support after this sale. If you have a prospect that is not sure, tell them to call us. Just a short note to you and your associates let you know how pleased we are with our new double-wide Pacesetter home! We were impressed with the timely and friendly communications from you and the office staff, and with the timely construction and the set up of the house itself. We were especially impressed with Saul's workmanship and pleasant manner. He is indeed a very professional employee. We will advise our friends to purchase your products whenever we get the chance, and with this letter you have our permission to photograph our new "digs"
We had heard the following comments about Pacesetter Home Center from people who had purchased homes and also business's in Yuma had said they are very good to work with. Doreen Caldwell, our sales person, made this a great experience for us through the process of building our home. Doreen's guidance was so professional, her knowledge and interest in making this home the quality that we would be very proud of. We compared other manufactures of homes similar in design and square footage. They were not really interested in helping us or wanting to sell us a home. We are so glad and thankful that Doreen made this a wonderful experience. A lot of people had told us we would be making a real mistake by not being here for the site prep and install of the home. Doreen took a special interest in making a CD of pictures showing site prep and install, which we appreciate so much. The quality of the home is what we expected and even more. We just love it. Although several years have passed since we purchased our home through Pacesetter's we have been very pleased with our purchase and the guidance we received in choosing our options. We found Pacesetter's to have the highest business ethics and they went above and beyond the "normal" to be sure we were well pleased with our finished home, and we most certainly are. I felt it appropriate to advise you of our Pacesetter Home we purchased from you. Its been awhile since we moved in and have found the home virtually free of any major construction flaws. We have also appreciated the scheduled follow through visits to be sure all is functioning properly. Your product and service has exceeded our expectations. Thank you for the joy and happiness we are having in our new home experience. We love our home we bought from Terry at Pacesetter Homes. They were very accommodating and let us make all the changes that we wanted. We plan on staying in our new home for many years, and if we should decide to move and buy again, we would buy from Pacesetter Homes. I want to take this opportunity to thank your for help in the purchase of our new home through Pacesetter. It was an enjoyable experience all the way through. We are completely happy with the result. I would be glad to refer any of our friends to Pacesetter and to George Cuellar. It was good teamwork all the way through. We purchased a double wide schult manufactured home a few years ago. You and your personel continue to care for our customers! Last year we installed a cloths dryer and you sent one of your employees to install a dryer vent to the outside free of charge. Friends and Family visiting our home were so impressed with the quality product and the timely placing of the home after the purchase, that the decided to buy from Pacesetter Homes. This is what happens when you have saisfied customers and quality homes and crews to put them in place on time.